Super Absorbent – super absorbant powders maximise absorbency to keep skin dry and neutralise odour. Non Woven Layer – Increases distribution speed, keeping the skin dryer. 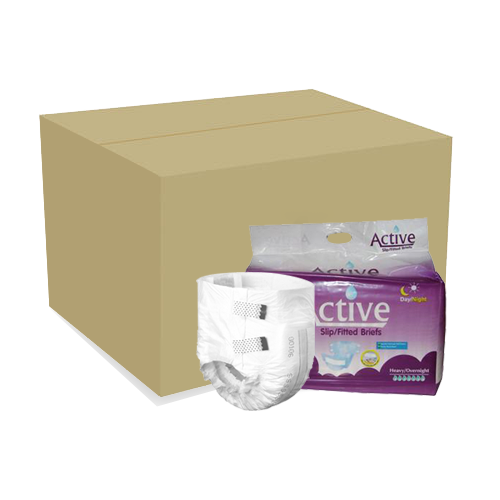 Wetness Indicator – The pattern disappears when the absorbency capacity is reached. 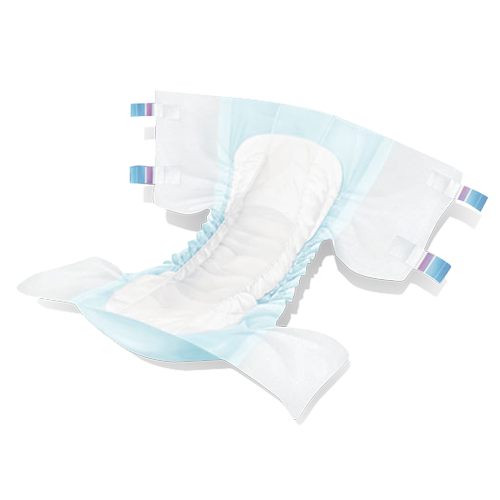 Re-sealable frontal tabs – Facilitates repositioning for an ideal fit. 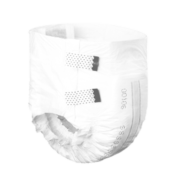 Waterproof leg cuffs – Waterproof leg elastic and leg barriers ensure protection against leakage. 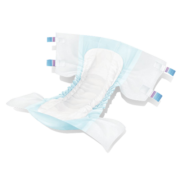 Waist band – Additional protection around the stomach and back areas enhance comfort and maximum security. 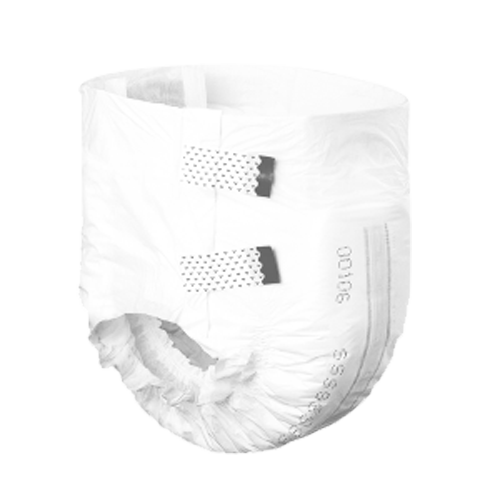 Soft breathable cloth like cover – Allows air to circulate throughout the nappy.